I woke up in the car. It was night. I knew I was in London but didn’t know why. A long curving row of terraced houses stretched away in front of me. The seat was angled back. A woman was in the passenger’s seat, also just awake. Fortunately she was my wife. The clock read 18:37. I knew we had something to do, somewhere to be. My mouth, lazy from sleep and likely drooling, formed the sound before my brain knew what was happening. Why are we here? What are we doing? Theatre, my wife replied. And I remembered. 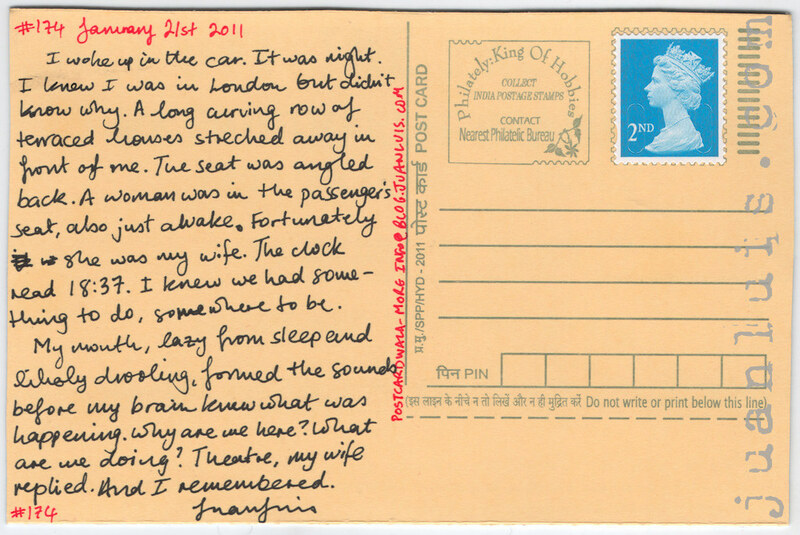 I stuck the card onto the front of one of the Indian generic postcards as it had text on the back of it that rendered it useless as a mail postcard. 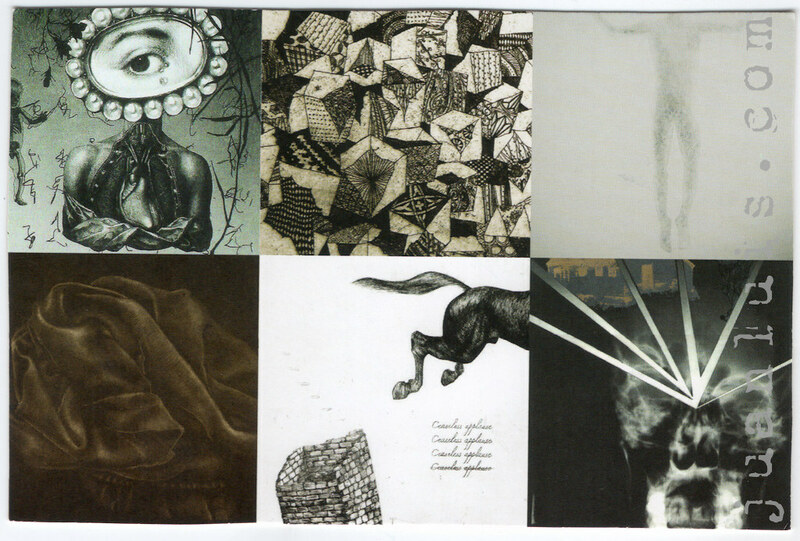 It is to promote a show of work by printmaking graduates in London at the Curwen Gallery.